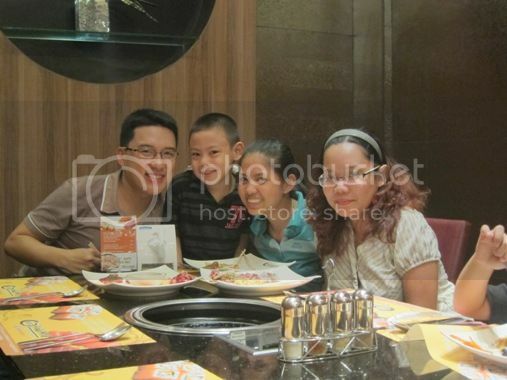 Last March 1, we went to attend my son’s classmate’s 5th birthday party at Yakimix at The Podium. I was hesitant to go because my work for that day wasn’t done yet, but seeing the excitement in my son’s eyes told me that we should go no matter what. So off we went. 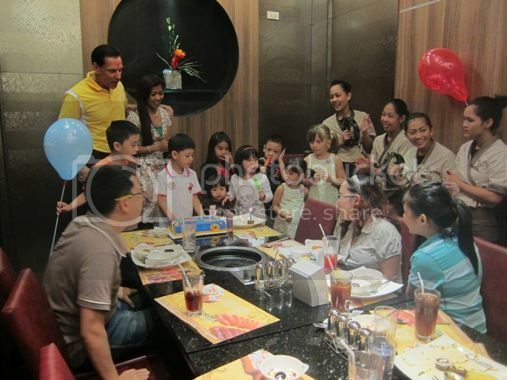 Singing the Happy Birthday song; the birthday celebrant was the one in white polo shirt. I would have loved to see the kids wearing custom tee shirts, but that thought was soon forgotten seeing how cool and comfortable the kids were in their casual attire. If you’re wondering why my son was covering his ear with his left hand in the picture above, it’s because the balloons that were taped on the walls kept popping, and the popping noise scared him. 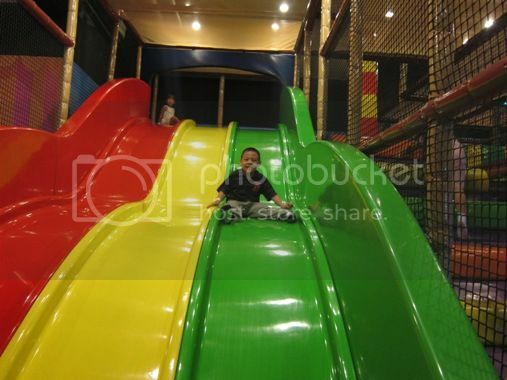 After eating, the kids played at Kidzville. This was the part that my son really liked. He simply loves to play! Is that a machine gun, son? 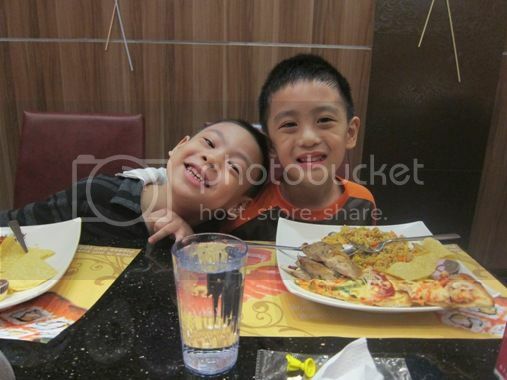 I left my son and his yaya at Kidzville to return to work, but I made sure somebody will bring the two of them home safely; thanks to Nitto’s Dad and Mom for the ride! After an hour, my son was back. He came home tired but happy. I was really glad we went to Lawrence’s birthday party. 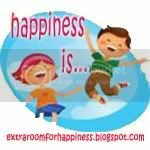 This entry was posted in Birthday Party, Happiness Is..., Happy Birthday, Kidzville, Mommy Moments, The Podium. Bookmark the permalink. 10 Responses to A Happy Birthday Party! What a pair of smiles! Your son apparently had a great party time, which is good for any kid. Happy birthday to Lawrence. Wow looks like everyone has lots of fun. And uhh, it does look like a machine gun! At least it looks kid friendly – very colorful. 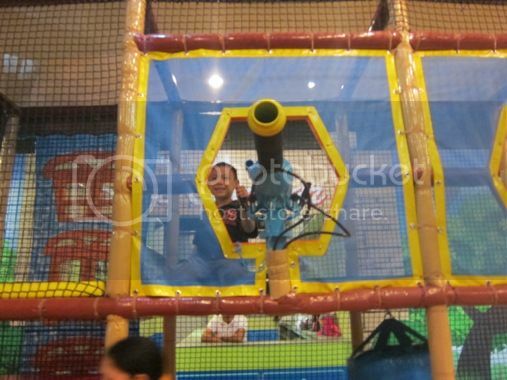 Ang sosyal naman ng birthday na ito 🙂 It’s pretty obvious that your son had a great time playing in Kidzville. Till next Happiness Is. See yah!